The Bower RCMUNI Universal Remote Shutter Release is a compact wired remote switch with a 3' cable for use with a wide variety of Canon, Nikon, Sony, Pentax, Samsung and Minolta cameras. The remote replicates all functions of the camera's shutter release button. Handy for taking pictures of subjects that are difficult to approach, or to minimize vibration for close-ups and time exposure. 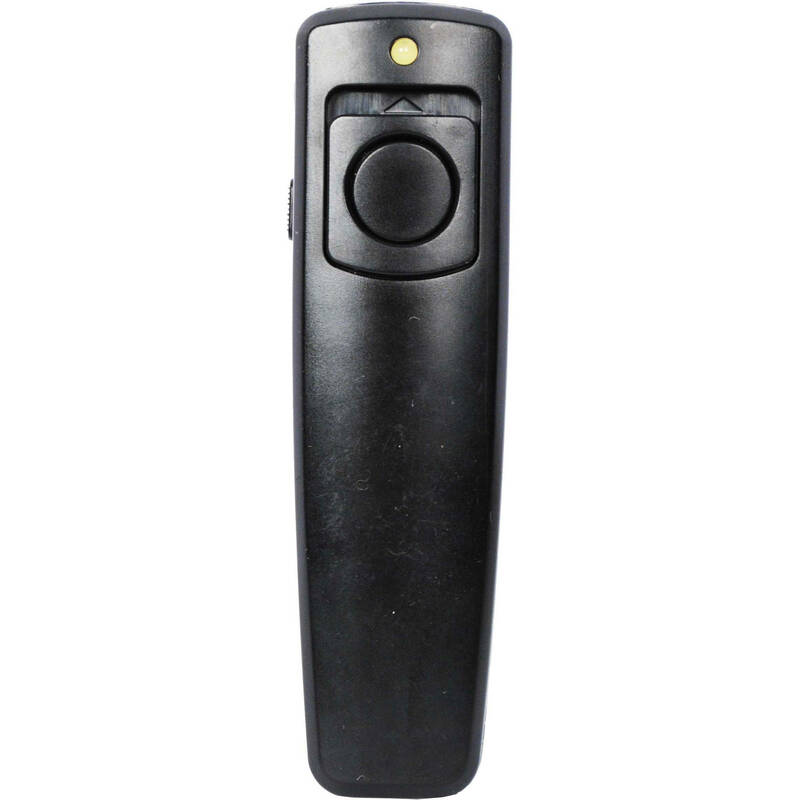 Box Dimensions (LxWxH) 6.1 x 4.9 x 1.2"
RCMUNI Universal Remote Shutter Release is rated 4.5 out of 5 by 12. Rated 5 out of 5 by Thomas B A. from Excellent and inexpensive This is an inexpensive shutter release that works just as advertised. I lost my original Minolta release that I'd had for years and had used it on my Sony Alpha series camera. This replacement shutter release came with many adapters for lots of cameras from Sony to Nikon and Canon and others. Rated 5 out of 5 by Anonymous from Perfect back-up Trip planned in the mountains and started thinking of extras that would prevent disaster. We all have a back-up camera body, but how about a shutter release? This little item works without batteries and has connectors for multiple cameras. I hope never to have problems with my RF controlled unit, but if so I will not be at 17,500 ft. without a battery. Rated 5 out of 5 by Sam from Great remote I've been having problems with Canon Connect (the software is really buggy) allowing me to wirelessly control the shutter of my 80D which is a great camera for the money. I decided to get a remote and this one is great. Comes with a variety of cable options and it worked the first time I plugged it in. Rated 5 out of 5 by Anonymous from Love it! I have a Sony A100 and it works great! Expected to lose some functionality because it was a universal remote not the Sony one, but didn't! So happy I saved the money and got this one! Is is compatible with a Nikon D3100? Yes, the Bower RCMUNI Universal Remote Shutter Release would be compatible for use with the Nikon D3100 DSLR camera. Does it work with Canon SX520 HS? The SX520 HS can't accept a shutter release. Does this remote fit a Sony SLT-A37? Yes, this remote is also compatible with the Sony A37. Does it work with the Nikon D800 ? Does this work with Nikon D600? Does this work with Sony a7? Does it fully work with Nikon D7100? Yes, the Bower Universal Remote Shutter Release is compatible with the Nikon D7100. Is it compatible with a Nikon D300?